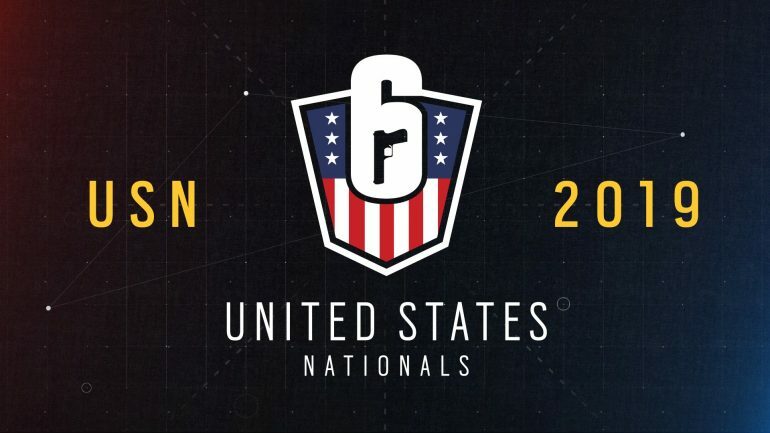 The road to the R6 U.S. Nationals Western Conference playoffs has been rough, but teams managed to cut through the competition. Here’s a look at how each fared under the pressure. Rogue and Members Only kicked off the night on Border with Glaz, Jackal, Mira, and Maestro banned from play. Teams made it to 3-3 before having to reset the match 0-0 due to connection issues. It’s interesting that the match was fully reset given that rehosts are normally the solution to connection issues. MO came back into the match hot with two round wins. Clearly, connection issues didn’t play a factor in the prior match standing. Rogue barely clutched round three. Gavin Steiner tried his best to handle a one-vs-three situation, but couldn’t take the last Rogue player off the board. Aaron “Shuttle” Dugger launched Rogue into a tie of 2-2 while capitalizing on MO’s hesitation. MO wouldn’t lay down though and responed to Rogue’s aggressive roam plays with another round win. Spencer “Slashug” Oliver took his defense outside with a spawn peek and a run out to throw MO off balance and tie it up 3-3‒the same standing before the reset. Rogue pushed the match 5-3 before MO forced another tie at 5-5. MO stumbled on defense and allowed Rogue to grab a 7-5 victory. It was hard to guess who would come out on top until the end of play, as both MO and Rogue played exceptional matches. MO pushed the match back-and-forth in a great show for fans while showing the level of skill that can come from Challenger League. MO showed capability and adaptability that gave Rogue a good run. Rogue will now advance to the week one playoff. Scilla’s Guerillas stepped up to Team Reciprocity on Border with Glaz, Ying, Mira, and Echo banned out of the match. Rec managed to run through the entire SG roster in a blur of roam plays in round one. Davide “FoxA” Bucci kept SG attackers on their toes with his constant lurks. Gabriel “LaXInG” Mirelez led the board two rounds deep thanks to the support and pressure provided by FoxA. SG seemed largely passive in the opening rounds, often wasting the first minute of their attack on nothing much at all. Rec led at 4-0. SG finally came alive to secure a win in round five and forced Rec into a back-and-forth win pattern. The match stood at 5-3, narrowly in Rec’s favor. LaXInG racked up a 3K for a round nine win for Rec, which brought the series to match point at 6-3. Rec closed out the match at 7-4 to lock up the win. Rec will now face off with Rogue to see which team will have a shot at the title of Team USA. SG should be applauded for their performance. It’s no small task to take on one of the best pro teams in North America and SG handled the match up extremely well. Rogue and Team Reciprocity battled on Coastline for a shot at the title of Team USA. Hibana, Nomad, Echo, and Maestro were locked out of the final match. Both teams starved themselves of intel by banning both Maestro and Echo. Rogue wasn’t playing around in round one when they took away all of Rec’s utility in an early show of force. Early indicators suggested the match would carry the same back-and-forth tone seen in the prior matches of the night. Rec saw a round two victory, but was shut down yet again in round three. Alexander “Retro” Lloyd clutched a one-vs-two situation on Kitchen. Retro was able to put down two defenders with relative ease to produce the round five win for Rec. Rogue lost some of their momentum after Retro’s clutch play, resulting in a standing of 4-2 at the half in Rec’s favor. Rogue found a win in the first attack run, but it was a largely cautious play with most of the action occurring in the final 30 seconds of the round. The match stood 4-4 while Rogue continued to push their way through Rec’s defense. Mark Arismendez savaged two Rogue attackers in the back half of round nine to give Rec a much needed lead in the match. Rec forced the series to match point at 6-5 and secured the win at 7-5. Round twelve was surprisingly one-sided, as most of the match saw back-and-forth wins and losses. Rec will now have an opportunity to earn the title of Team USA. It’s another hard road ahead for Rec, but they’ve already conquered one of the most respected teams in North America. Team USA will be crowned in December 2019, but fans can catch the Week one Eastern Conference finals next week here.